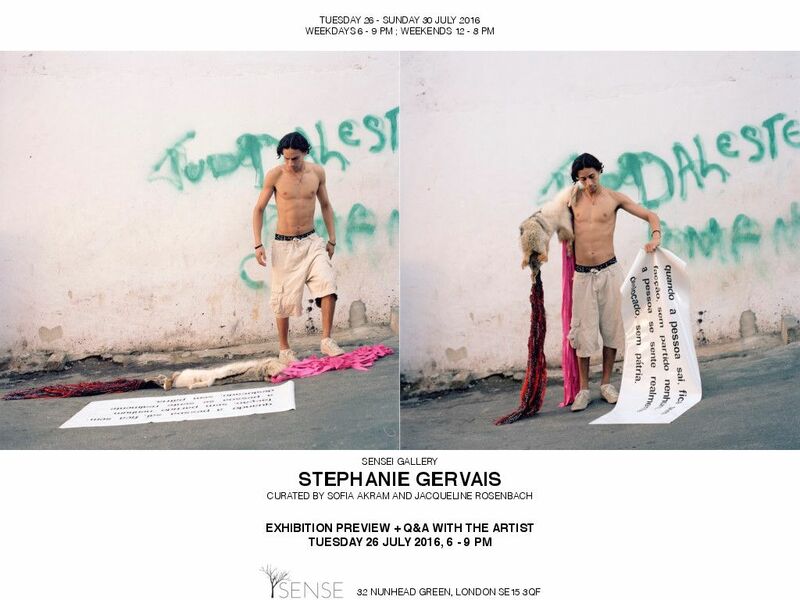 Gallery Sensei presents the first solo exhibition in the UK by American artist Stephanie Gervais. The exhibition will showcase textile installations, photography and audio recordings, featuring Chameleon series. Chameleon compiles machine and hand-embroidered transcriptions of Whatsapp conversations with a friend of the artist, Maria Inês da Silva, preparing for her first trip outside of her city and country: Rio de Janeiro, Brazil. Stories recount the routine of preparing to travel, mixed with the quotidian of a neighbourhood's security and politics, homesickness and the process of adapting to a new environment.